Oh goodie! Another barrage of retail specific pre-order bonus fluff such as weapons, items, and characters that won't really alter your experience were you to just skip out on pre-purchasing the game. Lost Planet 3 is the latest to try this tactic, with the better of the three pre-order options going to GameStop just because Hunk from Resident Evil will be given to players to use in the multiplayer. You'll get four other multiplayer characters in this, plus some mech weaponry too. The Amazon and Best Buy bonuses both consists of various guns and mech parts. 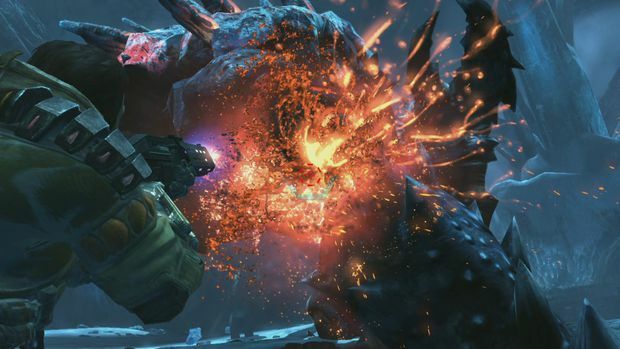 Lost Planet 3 suffered a small delay again yesterday, and will be out on August 27 for the Xbox 360, PlayStation 3, and PC.